Meet Basith one of our in-field coordinators! 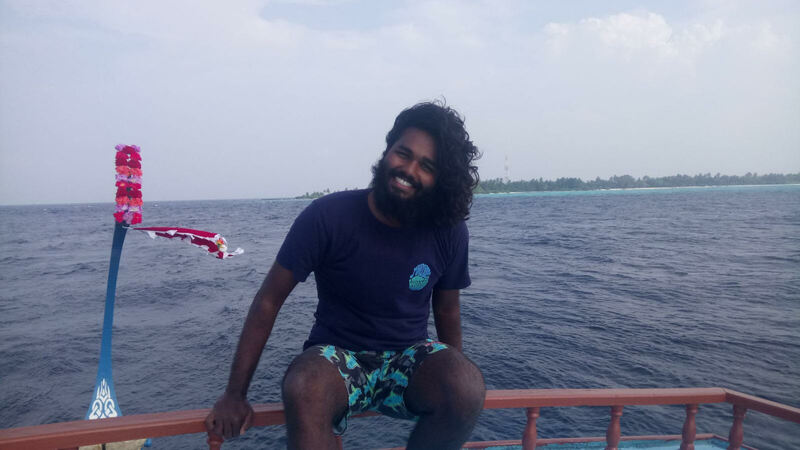 Originally from the capital island Male’, and always with a friendly smile on his face, Basith is a keen conservationist who has brought light and laughter to our team ever since he started working with us in 2017. 1. How did you get a job with the MWSRP? I got the job through the internship which was recommended to me by a close friend. 2. Did you always know that you wanted to work in marine conservation? No I didn’t. Initially I was working for an insurance company but always had my hand in community beach and reef cleans while I was vice president of the Rotaract club of Male’. 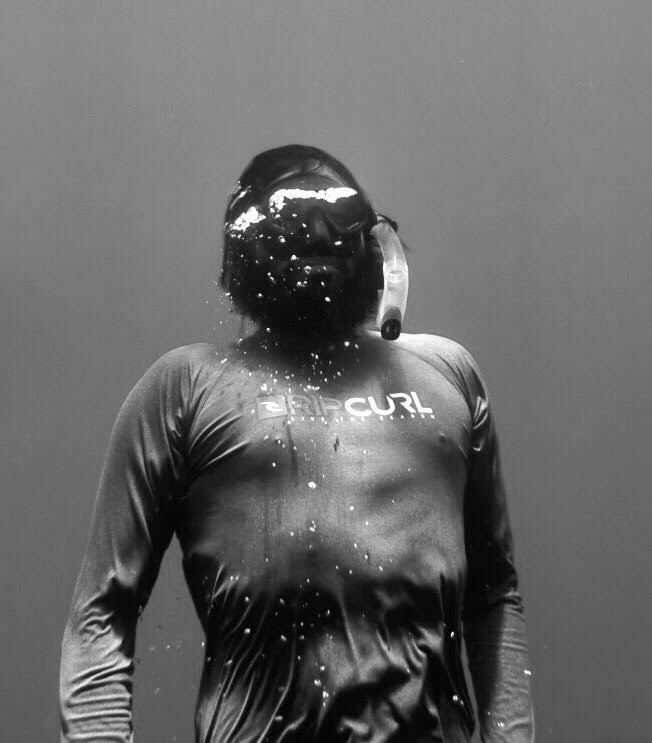 It was during this time I started freediving and saw how much ocean litter such as plastic, nets was taking over our local ecosystems, and this fuelled my passion for marine conservation. 3. What has been your most memorable experience whilst working for the MWSRP? I had an exciting experience outside Fenfushi getting caught between two very inquisitive sharks who were too busy circling each other to care that I was in their space. They were later identified as Chiko and Kuda Kudey, two male sharks. 4. What has been the funniest thing that has happened to you whilst working with the MWSRP? We had a day with no sharks and our boat Captain Gasimbe could see how desperate we all were and chose to play a joke on us. Gasimbe began shouting ‘shark, shark’ and we all jumped in and swam fast towards where he was pointing only to look back and see him chuckling to himself. I find the teaching aspect very rewarding. Giving presentations to schools where the children are engaged and want to learn is great, it all contributes towards a more sustainable future. Teaching guests on liveaboards and resorts is equally as gratifying, as I can see first hand a change in their behaviour towards approaching a shark and respecting their space. 6. What is so special about whale sharks? It only makes sense that a whale shark with a unique spot and stripe pattern should have a unique personality too! We spend so much time with the resident whale sharks you begin to notice every individual have their own traits and charastistics. For instance WS327 Gaa Gaa loves bubbles and WS071 Fernando appears effortlessly cool in crowded encounters. 7. Apart from whale sharks what is your favourite marine animal and why? That has to be a sperm whale because of their deep diving and incredible breath holding capabilities. Who wouldn’t wanna be one? 8. If you were going on a month long whale shark expedition what is the one thing you would take with you? My camera obviously! There’s nothing worse than having an amazing encounter and having no way to capture the moment! 9. If you could have one superpower what would it be and why? To be able to travel back in time and see what reefs were like in decades gone by, and maybe I’d go way back and swim with a giant ichthyosaurus! 10. What’s the one thing you’ve learned whilst working with MWSRP that you’d pass on as a tip to an aspiring marine biologist? I’m still the aspiring marine biologist, but I guess I would say don’t pass up great opportunities to learn and don’t be afraid to put yourself out there with the local community.